Erik ****: "Hallo Liam, Thank you very much for the manual. It really shines a bright light on a dark matter, for me as an electronics noob,Erik," ..
John ****: "Hi Liam, thanks for that, a lot more user friendly than the original." ..
Stephen ****: "Liam hi, Thank you very much, a great job on the manual, I read about it on Brad Black,s news colum on his web site. Kind regards Stephen." 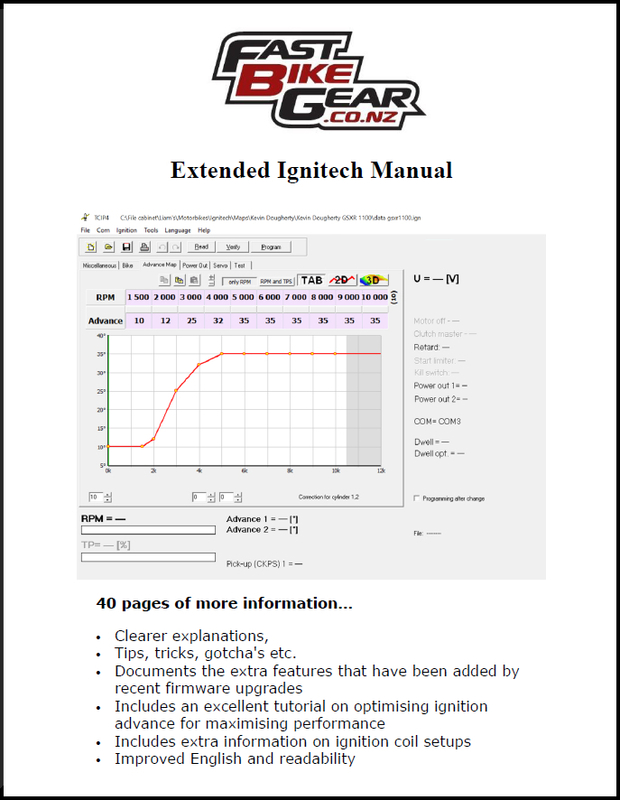 ..
Mike ****: "I should note that Liam's Ignitech manual has been very, very helpful. It's $10 (NZ) very well spent! I've read it 10+ times now, and continue to learn more with each reading. I can't imagine installing one of these without it. Thanks Liam! 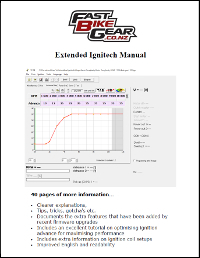 I finished my Ignitech install this weekend. Overall, the install went smoothly. I ran the bike's pick-up wires to the right side and up into the battery box. I've got a lithium battery, so there's lot's of room in the box. The new Ignitechs come standard with longer wiring, so I mounted mine with Velcro under the seat. I ran the wires along the upper frame rail and into the battery box. Next time I have the air box out, I'll drill a hole in the side and run the wires into it directly rather than over the top (see the pics). My hope is that keeping all of this wiring away from the plug leads will result in minimal interference. My initial impressions are that off-idle roll-on is much smoother and that the motor is more wil ..